Soak plank in enough water to cover for at least 1 hour before using. Thaw fish, if frozen. Rinse fish; pat dry with paper towels. 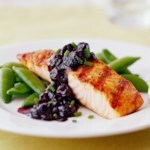 Place fish fillet, skin side down, on the soaked plank. Sprinkle with chives, thyme, salt and pepper. 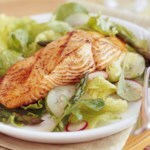 Arrange lemon slices along the center of the salmon. 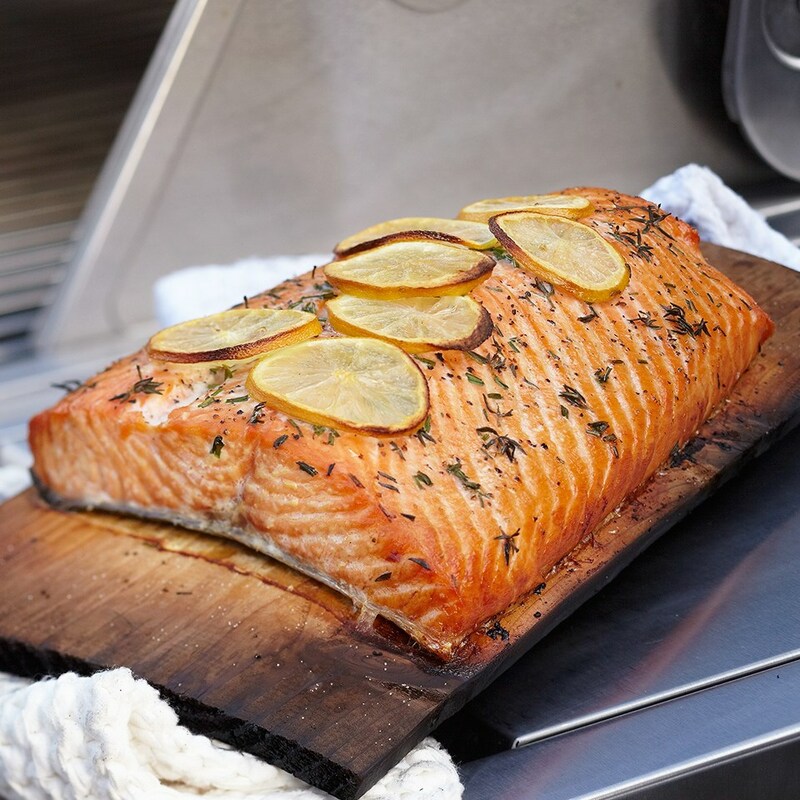 Using a charcoal grill, place salmon on the cedar plank on the grill rack directly over medium coals. 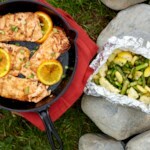 Cover and grill for 20 to 25 minutes or just until salmon begins to flake when tested with a fork. 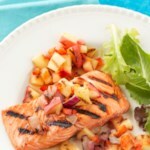 Tip: If using a gas grill, preheat grill. Reduce heat to medium. 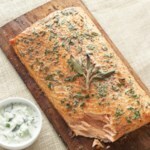 Place salmon on the cedar plank on grill rack over heat. Grill as above.